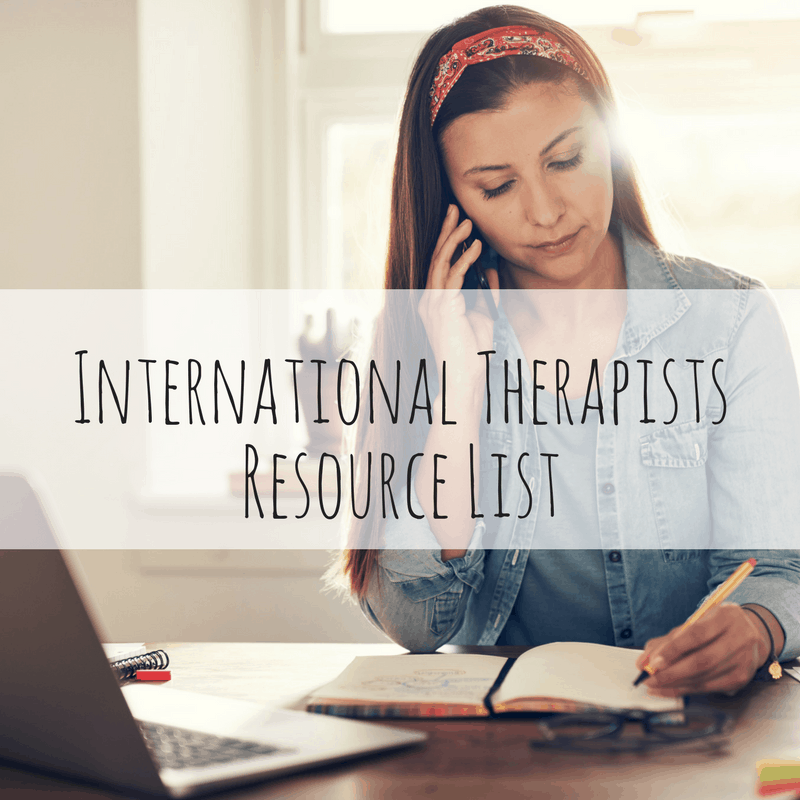 It’s no secret that I’ve found a daily mindfulness practice to be a key ingredient in my ability to manage the ups and downs of our international life. Despite common misunderstandings about mindfulness practice, it’s really not all that complicated. Mindfulness is quite simply the practice of paying attention and seeing clearly what’s happening while it’s happening. Perhaps it’s not surprising then that, in the unpredictability of expat life where pretty much everything can feel strange and unfamiliar, becoming more mindful can help us navigate our experiences with increased ease and resilience. Here are just a few of the ways that’s played out for me. 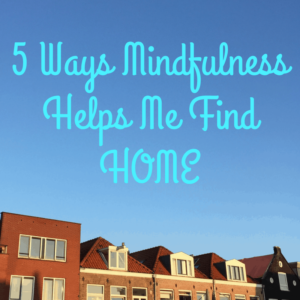 Mindfulness allows me to practice feeling homesick…and also not homesick. I make a point of reminding the people in both my personal and professional life that there are no “good” and “bad” emotions. Emotions are neither positive nor negative. Sure – some feel better than others, but ultimately, everything we feel comes from somewhere and serves a purpose in helping us navigate our experiences. judge it (what we do when we feel our emotions don’t align with how we’re “supposed” to feel). When it comes to living life around the world, practicing mindfulness by developing a more reflective and compassionate relationship with our emotions can support us in learning how to deal with whatever comes our way. Mindfulness helps me see home as a state of being created in my own mind. Another key element of mindfulness practice, is learning to see things as they really are, not simply as we want them to be. Mindfulness inspires us to ask questions about what we’re witnessing and examine what we find there. While this isn’t always easy, being able to tune in to life as it truly is is a huge benefit of mindfulness practice. What does this mean practically speaking? How much of this is really true and how much of this is a story I’m telling myself? Is there anything that is working right now? Are there things that I don’t hate? What previously unnoticed options do I have in this situation? Now, that doesn’t mean you suddenly start loving a place that just isn’t working for you, but it does help you get more creative, offering you the opportunity to make decisions based on a clearer, more thoughtful way of seeing. Mindfulness reminds me to notice the details. 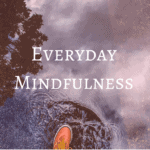 One of my most treasured benefits of maintaining a daily mindfulness practice is the way in which it has deepened my ability to pay attention to the “small” things. When we move from place to place, it’s so easy to think that we should be unfazed. 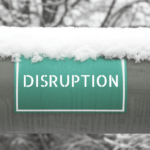 It becomes common, I think, to feel that we’re able to adapt at a moments notice and that our unbelievable flexibility means we can make these shifts with little or no disruption to our body or our mental state. When we develop basic, everyday mindfulness skills, we engage the practice of slowing down and seeing the little bumps in the road. Sometimes small disruptions – the noise outside your new apartment that causes you to sleep poorly, the times you spend hungry because you’ve yet to stock your pantry, the frustration of slow internet connection that means your calls to your best friend are mess of static, feedback and silence – can actually have a huge impact. When we take a moment to be still and really pay attention, we may notice the physical sensations, the emotions, or the discomfort of uncertainty that live in that space. We learn from seeing those places of unease and becoming mindful of them enables us to make much-needed adjustments. Mindfulness encourages me to practice ritual. Before we started our international life, I wasn’t really someone who stuck to a routine. Sure, I attempted to create positive habits (going for a run, reading before bed, etc. ), but I never felt much pressure to really keep up with them. Moving from place to place has made my healthy habits all the more important and my mindfulness practice supports me in staying awake to their significance in my life. Mindfulness and mindfulness meditation inspire me to establish rituals and routines because the habits themselves (whether seated meditation or simply performing tasks with attention and care) foster dedication. In other words – by committing myself to being more mindful in my choices, actions, observations and interactions, I’m laying the foundation for commitment to other positive health habits as well. Morning meditation, a daily jog, cooking healthy meals, taking frequent work breaks throughout the day and reading before bed are habits that I rely on during transition to create a sense of inner balance during upheaval. Additionally, when I notice these habits slipping, it’s my commitment to everyday mindfulness practice that helps me return to these supportive rituals. Mindfulness supports me in building relationships. A great deal of mindfulness practice is about developing an awareness of our inner dialogue – our thoughts, emotions, and judgments. However, it’s important in mindfulness practice to recognize the way in which our relationship with ourselves (and this internal dialogue) relates to how we connect with others. Mindfulness helps me to take time with people. It supports me in active listening so that I can better understand how the moving experience affects my husband and children. It enables me to slow down and see better the ways in which those around me may be suffering or the ways in which they’re brought to life by something new in our world. Moving is almost always a time of great stress. It’s a time when our tempers are short and we’re more likely to lash out at those around us. Mindfulness doesn’t always prevent that from happening (we’re all human after all! ), but it can give us the skills to turn back to generosity and kindness when we realize we’ve behaved poorly towards others. And, mindfulness helps us make friends. Research says that our ability to understand our own emotional experiences makes us better at understanding the experiences of others. That, in turn, makes us better friends – and that goes for the friends we’ve left behind and those we’ll make in our new home. 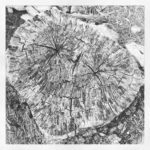 Do you have an informal mindfulness, meditation, or spiritual practice or other ritual that supports you in practical ways as you move? If not, what would it take for you to start something like this? Share with me in the comments what’s worked for you or what’s sparked your interest in reading this post. Click here to learn more about how I can help you bring these skills into your own life. 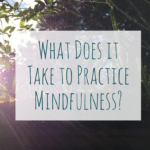 What Does it Take to Practice Mindfulness? I loved this Jodi! A mindfulness practice has been absolutely essential for me to learn to cope with the ups and downs of life as an expat (and as a therapist!) and helped me to learn so much more about myself which I think of as one of the greatest gifts of living abroad. 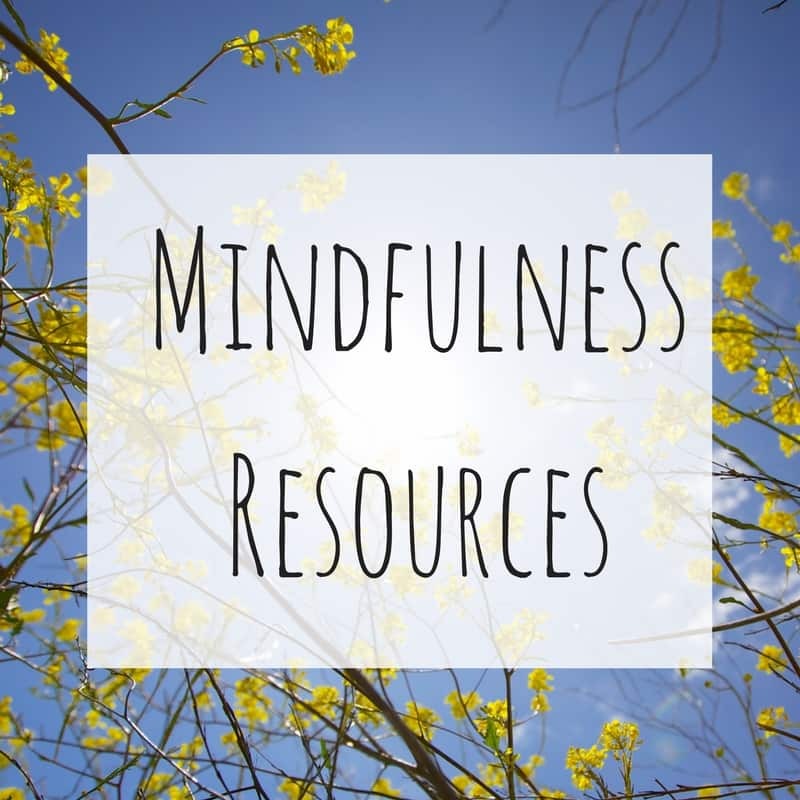 I did an 8-week MBSR course a few years ago which was a wonderful way to be introduced to mindfulness and really develop a mindfulness practice. I now aim to meditate at least 15-minutes every morning using the Insight Timer app. Sometimes I use a guided meditation and other times I just set a timer. Thanks for this article, I´m going to share it on social media this week!